If you have been tuned in to IAB, you must have noticed that this month has seen a slew of launches (and more to come). We are constantly running around Mumbai city to make sure that you are updated about each new launch. 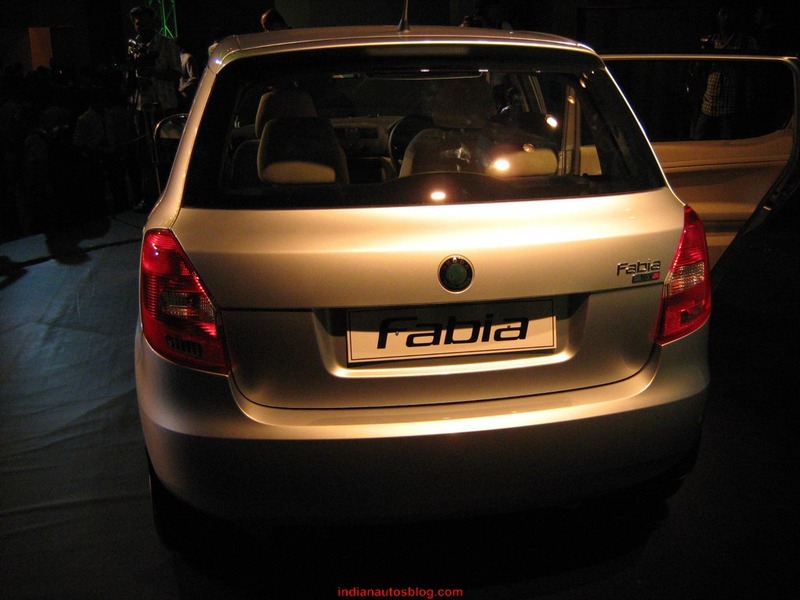 But none of them have been as dull as the new Skoda Fabia. Don’t get me wrong. As a product, it is a very good value proposition. Fabias have always been known for that. But there is nothing in it that made me go WOW! The new Skoda Fabia is a result of the new BS IV norms kicking in 13 major metros during April this year. It took them such a long time to come out with the BS4-ready car. The most happening and important segment today for any player is the compact car segment and that's where Skoda wasn't fully present all this while. Other new features include a new front end, a new steering wheel (lifted from the Laura) and a new stereo (also lifted from the Polo). Yes, someone was very busy in VW's spare parts section. It is available in 3 variants Classic, Ambiente and Elegance and can be brought in 5 different colors. The only reason I could find for someone to actually buy this car is the price. The car starts 4.35L (for the entry level) and goes right to 5.99L (for the 1.6L engine) ex showroom Delhi. If you are in Maharashtra, the car starts at 4.19L and goes right to 5.81L. The hatch market is the fastest growing market in India. All the major auto manufacturers are aggressively hitting this market with very competitive offerings. And this situation is only going to get more aggressive with the entry of Toyota and Honda. In such a competitive scenario, the Fabia can't put the frighteners on the competition. If anything, it'll be easily overshadowed by the competition. * 1.6 MPI (Petrol) - available in Elegance variant. 1.6 MPI - : The best performance in its class, it is an absolute delight for a spirited driving experience. It is equipped with 1598cc engine, 4 cylinders which generate 105 bhp at 5250rpm. 1.2 TDI CR - One of the most fuel efficient diesel motor, features a Turbocharged Direct Injection Common Rail 1199cc engine which generates a maximum power of 75bhp. With its low fuel consumption it is an ideal car for the high mileage user.